The history of Delaware’s homeschooling law has hinged on whether or not homeschools qualify as private schools. In the 1980s, during the early days of homeschooling, homeschooling parents argued that they fit in the private school category. At the same time, local public school superintendents exerted their right to exercise oversight of homeschooling. At issue was the level of oversight: operating as a private school required only submitting only annual enrollment and attendance forms, while homeschooling under the oversight of the local superintendent required approval and assessment. In 1990, the local superintendents proposed a bill that defined the category of private schools to exclude homeschools and created requirements for homeschools, including high school diplomas for homeschool parents, a minimum required number of hours of instruction, annual standardized testing by the state, and state authority to terminate homeschooling where a homeschooler failed to show appropriate progress. 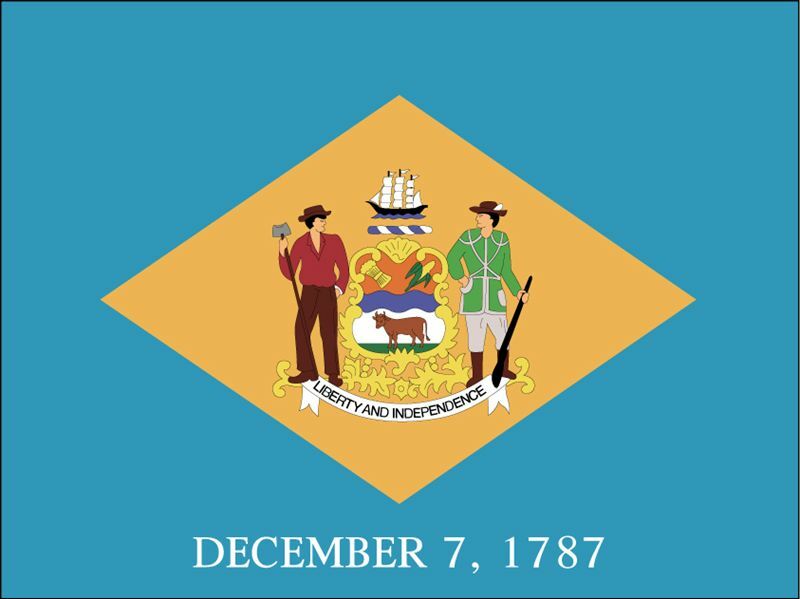 In response, Delaware homeschoolers established the Delaware Home Educators Association (DHEA) and advocated strongly against this legislation, proposing instead a bill that would legally recognize homeschools as private schools. State superintendent Pascal Forgione declined to support the local superintendents’ bill, and neither bill passed. In 1992 representatives of the DHEA met with state superintendent Forgione. The DHEA representatives argued that, in their interpretation of the law, there were two available legal and valid options for homeschooling: parents could homeschool under the oversight of the local superintendent or could register their homeschools as private schools. Forgione affirmed the arguments of the DHEA representatives and agreed to distribute a brochure created by the DHEA. Latter bills sought to clarify some of the more minor points. In 1999, the legislature passed Senate Bill 35, which clarified that both homeschool options fell into the category of private schools, which must submit their enrollment and attendance records on a yearly basis. Another bill, House Bill 327, introduced by Rep. Charles Welch (R) in 2000, was intended to officially recognize homeschools as private schools; however, it could not gain support in the legislature because it would entitle homeschoolers to disability services under the federal Individuals with Disabilities Education Act. Also introduced in 2000 was House Bill 498, which would have allowed homeschooled students to participate in public school extracurricular activities. The bill failed to pass. Homeschooling continued to grow throughout this period. By the 2000 to 2001 school year, there were 2174 registered homeschoolers in Delaware, up from 464 during the 1991 to 1992 school year. At the advice of DHEA, both before and after the 1997 homeschool statute the majority of homeschoolers chose to homeschool in affiliation with homeschool associations and organizations, which served in effect as umbrella schools. Before 1997, this was because the legal status of homeschools operating as individual private schools was more tenuous than their legal status when enrolled in an umbrella school. After 1997, this was because this option included so much less supervision and oversight than homeschooling under the auspices of the local superintendent. However, in 2001, prompted by both failed House Bill 327 and two instances where unlicensed childcare providers avoided state tax laws by claiming they were homeschools, Senate Bill 165 was introduced. If passed, it would classify homeschools and umbrella schools as separate from private schools. DHEA strongly opposed the passage of this bill, citing concerns that it would serve as a gateway to further regulation of homeschoolers. As a result, the bill was placed on hold in the Senate Education Committee. Instead, Sen. Sokola proposed the creation of a committee to study Delaware homeschooling. The bill, signed into law as Senate Joint Resolution 9, stipulated that the committee would include two DHEA representatives, Joey Ashby and Bill Manning, as well as representatives from the Dept. of Education, the Dept. of Health and Social Services, the Childcare Licensing Section of the Dept. of Services for Children, Youth, and their Families, the Delaware Association of Independent Schools, and the Delaware Senate and House. The committee’s responsibilities were to discuss homeschools’ reporting requirements to the Dept. of Education, to define nonpublic schools, and to consider potential interactions between homeschooling and existing health and safety regulations. Homeschooling was also mentioned in a truancy report around the same time. The bill made several important changes. First, it classified homeschools as nonpublic schools rather than as private schools. Second, it clarified the requirements for submitting information on enrollment and attendance, leaving no room for confusion. Third, it removed the requirement that homeschooling parents provide their children with “regular and thorough instruction in the subjects prescribed for the public schools of the State in a manner suitable to children of the same age and stage of advancement.” The new law eliminated the need for umbrella schools by creating an individual homeschool option that dispensed with the oversight of the local school district. Indeed, in 2005 the third homeschooling option, which was included for the benefit of those who might want to homeschool under the auspices of the local superintendent, was discontinued as there were only 7 students making use of it at that time. For more on homeschooling in Delaware, see Delaware.